Dementia can be a frightening condition for those who suffer from it. 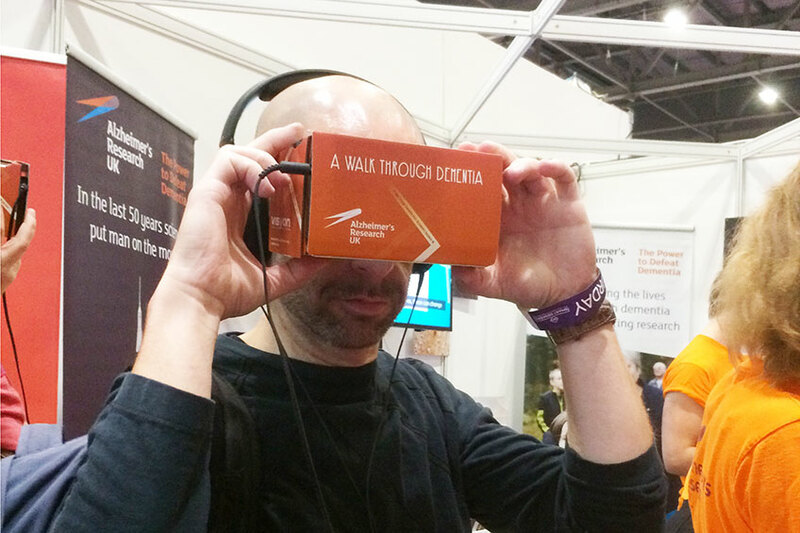 When I was offered the opportunity to try a new virtual reality simulation of dementia I was intrigued…. Alzheimer’s Research UK had a stand at the New Scientist Live show in London where members of the public could begin to experience life as someone suffering from dementia. I donned a virtual reality headset and the simulation began. The effect was immediate and dramatic. It really has to be experienced to be understood. I was startled to see how everyday settings can be confusing and frightening for dementia sufferers. At Thorne Segar, we have specialists who are experienced in acting for people who have dementia, in a sensitive and understanding way. All staff have undergone Dementia Friendly training with the Alzheimer’s Society, and we are actively looking at ways that we can make the office more Dementia Friendly. If you or a close family member are affected by dementia and you would like to talk through any issues arising as a result, then please contact Iestyn.